Business View Magazine interviews Mayor Steve Arnold and CAO John Rodey of St. Clair Township, Ontario for our focus on sustainability in Canadian cities. The Corporation of the Township of St. Clair is a lower tier municipality in the County of Lambton in southwestern Ontario, Canada. This picturesque riverside district is home to nearly 15,000 residents, and a sought-after place to live, work and play. Ideally situated within 15 minutes of a U.S. border crossing into Michigan, the 640-sq.-km. 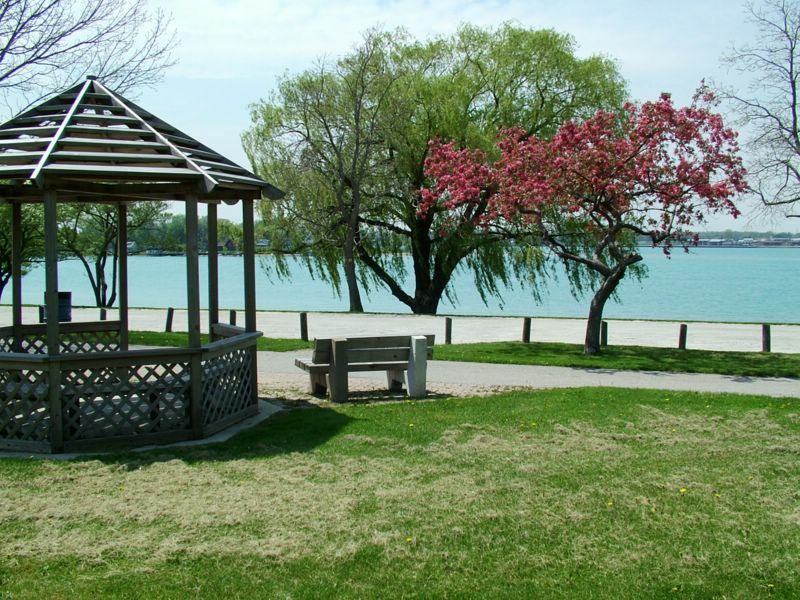 municipality has much to offer tourists and locals, alike, including golf courses, museums, camping, calm countryside, historic small towns, and a trail system that extends almost the full length of the Township along the beautiful St. Clair River. What’s not to love? Businesses are thriving in the industrial park, as are many other large industries located throughout the Township. 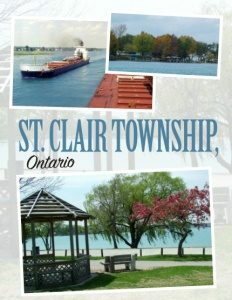 Business View Magazine recently spoke with St. Clair Township Mayor, Steve Arnold, and CAO John Rodey, about the unique aspects and assets of their community. BVM: Can you explain the tiered governing system for St. Clair Township? Mayor Arnold: “St. Clair Township is made up of two lower tier municipalities that amalgamated in 2000/2001. Sombra and Moore Townships came together and were renamed to reflect the fact that we shared the St. Clair River. We have a two-tier governing system – our local government, and the upper tier which is Lambton County. Sarnia (pop. 75,000) is the largest of 11 municipalities of the County. “St. Clair Township is comprised of the villages of Sombra, Corunna, Port Lambton, Brigden, Mooretown, Courtright, and Wilkesport. All but two are along the St. Clair river. The municipality owns 8 km. of riverfront that includes 11 provincial parks and passive parks, as well as campgrounds, and several boat launch areas. Because of that, tourism is a major factor. BVM: How are you set up, transportation-wise and land-wise, for industry? 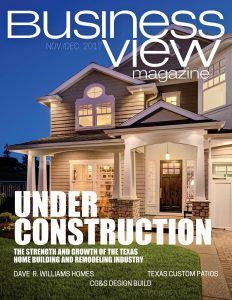 BVM: What industries drive your economy? Rodey: “We are home to many large industries – Shell Nova has three ethanol manufacturing facilities here; Suncor has the largest ethanol facility in Canada here; CF Industries is a major player in agricultural chemicals. We also have numerous businesses that do machine shop work, welding and cutting, and building modules. LamSar Inc. has a facility in Sarnia and put another one here with the goal of producing industrial modules to ship worldwide. We also have two large solar farms (300 and 350 acres), so we do embrace green energy. Mayor Arnold: “Our industrial park is 85-90 percent full, with only a few smaller parcels available. We aren’t looking at adding more to it right now because we don’t want to get too far ahead of ourselves in growth. We already have between seven and eight thousand acres zoned industrial for people wanting to do heavy industrial development. The local folks looking at expansion know this community is all ready to go for them. “One of the power plants from Mississauga came here because we are quite knowledgeable about energy, and able to tie them into the U.S. and other parts of Canada. They just finished that build about eight months ago. Gas-fired energy producing plants – Greenfield Energy Centre and Greenfield South Power Corporation – were part of the deal when the Lambton Generating Station shut down, and Enbridge also has a gas distribution and compression hub here. “Unique to this community are vast underground caverns of porous rock, perfect for storing and retrieving hydrocarbons. That’s another reason many industrial facilities are interested in locating in the Township. In fact, salt brine is processed out of old oil and gas wells in St. Clair Township and Lambton County, and we ship it through a series of pipelines to Michigan. BVM: How is technology impacting development growth? BVM: How are you attracting people to live and do business in St. Clair Township? BVM: What’s happening in the way of green/sustainable initiatives in the Township? Mayor Arnold: “We did two large projects in Wilkesport and Brigden – installing sanitary sewers and sewage treatment plants. That cleaned up the adjacent Sydenham River immensely. We’ve also done green initiative studies on our arena and other buildings, but the structures aren’t strong enough to support solar panels. We do help facilitate private investors, though, including 650 acres of solar installations on buildings, so we have been successful that way. We also changed 1700 streetlights to LED, and received rebates from Hydro One for that. “Another initiative is installing buffer system infrastructure along our municipal drains, so we’re not contributing to the phosphorous increase in the Great Lakes basin. We’ve partnered with the St. Clair Regional Conservation Authority, Shell, and Enbridge to do tree planting, and reclaim marginal farmland with tall prairie grass and trees. We’re taking ‘brownfields’ out of the vocabulary. ‘Almost greenfields again’ is what I like to call them.